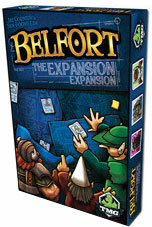 Belfort has their Expansion expansion reviewed by the experts over at Play Board Games. Belfort The Expansion Expansion adds some new elements to the base game. There are assistants, expansion permits and more. Read to see if they make the base game better.